But no matter how great you memories of the past few days may be, life is all about looking to the future. So we rallied up the awesome things going on in Sin City this weekend, giving you another epic weekend of good times and insta pics. So, are you ready to rally? Good. Dingggg, dong! 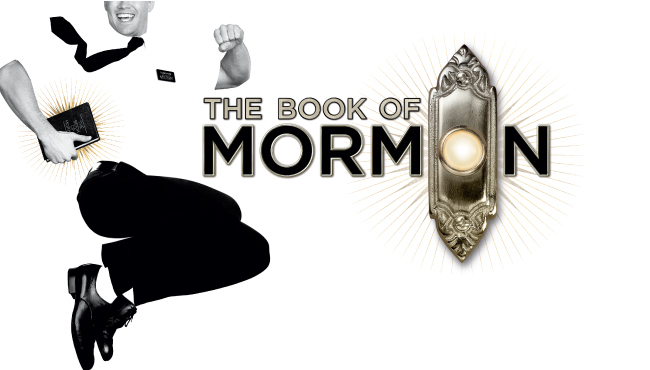 The religious satire musical “The Book of Mormon” is at Vegas’ door and you can betcha we’re answering. Hilarious for the not-easily-offended type, this production, written by the creators of “South Park,” tells the story of two naive Mormon missionaries sent to spread their religion’s message in a war torn Ugandan village. When you have free admission to the largest Polynesian Destival in Southern Nevada, you say, “Aloha!” That’s right, folks. Whether or not you’re an islander by genetics or simply they aloha-type at heart, this four-day long Pure Aloha Festival is for you. Usually welcoming more than 20,000 guests with authentic live entertainment, evening concerts playing the best island music and – wait for it – more than 100 specialty food and retail vendors, you’ll be feeling like paradise has arrived. There will also be a large carnival with rides in addition to plenty of local and out-of-state Halaus (hula schools) from Nevada, California, Arizona, Utah and Hawaii. Have we got you in the mood to bust out that coconut shell bra and grass skirt? Yeah, we thought so. If you can’t make it for the free admission on opening day, don’t worry — the admission fees are still very reasonable for the remaining days of the event. General admission is $8 for adults and children (ages 5-10), seniors (55 and older) and military get a discounted price at $6. Oh, and if you want to be an even better smartan than you probably already are, Pure Aloha has partnered with Three Square, so that you to bring canned goods to the festival entrance in an effort to give back to the community. Mahalo! 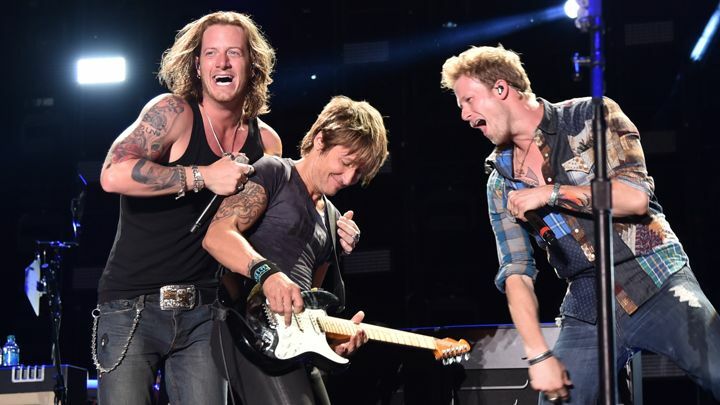 Yep, Flordia Georgia Line and Keith Urban will be at the festival this year… and we cannot wait. Giddy-on-up: If you love country music, this is one of the best weekends to be here. Bringing some of the biggest names in country music to Sin City, festival goers can kick the dust up with performers including Tim McGraw, Keith Urban, Florida Georgia Line, Jake Owen, Lady Antebellum, Claire Dunn, A Thousand Horses, Gloriana, Frankie Ballard, and many others. We really don’t even need to explain more because that lineup right there should already be your sign of one helluva good time. But, we love this three-day country music festival so we will let you in on some more deets. With acts performing on the various stages on the festival grounds from 2 p.m. to midnight each day, expect an endless stream of music. But when you need to make a beer run between performances, you can do that while simultaneously being entertained with dozens of merchandise vendors, food trucks and, of course, the occasional corn hole game. Just trust us on this one, if you like country, this is where you should be headed to get your fix of twang. Do you love beer? Do you love wine? Do you love having a good time and helping a good cause? If you answered yes to any of those questions, we have the perfect event for you this weekend. 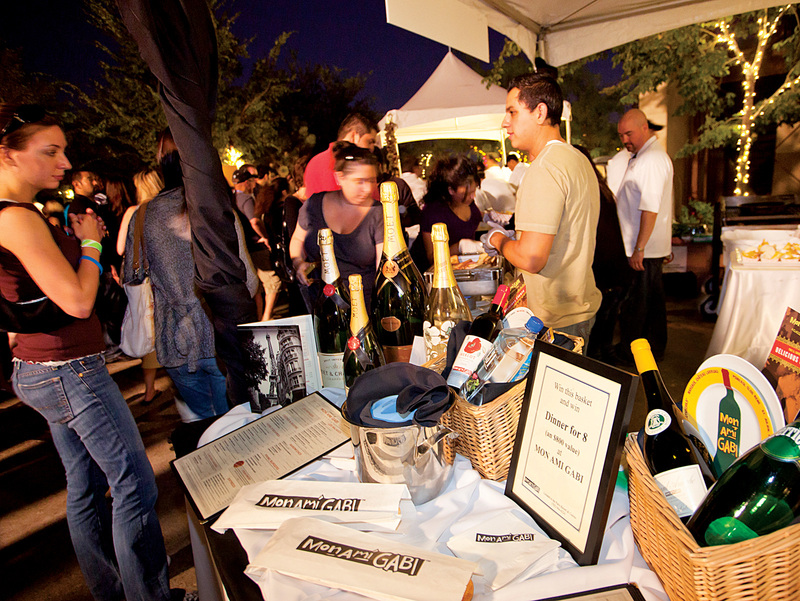 Attended by dozens of wine connoisseurs and beer enthusiasts from throughout Southern Nevada, Springs Preserve’s annual Grapes & Hops Festival is not only a great time but the event helps raise money Benefiting Par for The Cure — a non-profit organization dedicated to raising funds for breast cancer research. This beautifully boozy event pairs tastings of amazing wines and a unique selection of beers with live music and complimentary food. Of course, the event is only open to guests 21 and older but the lovely atmosphere mixed with your chance to taste a varied collection of bevvies makes for a perfect date night of friend’s night out. Tickets in advance are $40 for an individual ticket, or $70 for a pair. Tickets day of the event are $50 per person. $100 VIP ticket includes early admission at 4 p.m., a designated VIP section with a private bar, and specialty food samples. Your ticket includes unlimited beer, wine, and food samples. Tickets are available at springspreserve.org. Are you ready to get your spook on? Well, you better be extra ready if you’re headed to this super-scary attraction opening this Thursday. 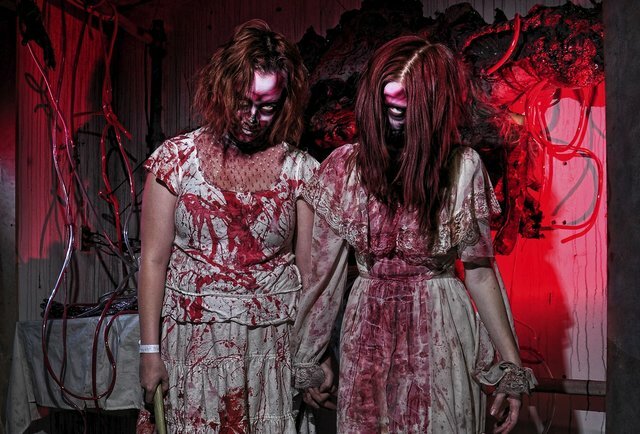 All in the spirit of Halloween and the festivities that surround the haunted holiday, this haunted house attraction takes the cake (um, brains?) for being able to seriously horrify its visitors. Located inside Circus Circus, the 250,000-square-foot theme park features six new haunted houses, four new scare zones, 25 rides and attractions, live shows and much more. However, this is a pretty terrifying experience so if you don’t like feeling like you might become scared stiff at any given moment, you probably shouldn’t go. Even the website warns that this attraction is rated “I” for “Intense” and is not appropriate for children under the age of 12. But, if being chased by ghouls, zombies, chainsaws, bloody people and what could be cannibals is your cup of tea well, it looks like you’ve met your twisted weekend-plan match.